Help us continue the revival of the St Anselm Hall Chapel. We have already made progress, but we need your help to make our full vision a reality. We are fundraising for a bespoke oak cabinet that will be at the centre of an exhibition and research project, bringing the St Anselm Hall Chapel’s story to life, as well as renovating the pews and replacing the altar drapes. We want all residents at St Anselm Hall to share this beautiful and important space, and understand its history and heritage. We are also committed to commemorating those who gave their lives in WWII by putting their story at the heart of this project. The exhibition and research findings will be presented at the Summer Reunion event in Hall in July 2019. Rejuvenating the Chapel and remembering those who gave their lives will form the central part of the legacy of this project. So far, we have sourced a new organ and harpsichord, free of charge, we have had our silverware refurbished generously, funded by the St Anselm Hall Alumni Association, had the lectern refreshed and treated through the generosity of friends of the Hall, and we have cleared away all the clutter after many hours of student and alumni hard work. We have also assembled a team of undergraduate and doctoral student researchers to undertake the heritage and memory project. We are St Anselm Hall, a traditional hall of residence established in 1907. Our history is founded in the Church of England and The University of Manchester; fittingly our Hall motto is Credo ut Intelligam, I believe so that I may understand. The Hall welcomes men and women, as well as students from all over the world, and is at capacity for the 2018-2019 year. The St Anselm Hall Chapel embodies our long held and cherished value of community. Throughout the generations, St Anselms Hall (Slems) has been an inclusive, supportive, and engaging place to live, providing a great deal of added value to The University of Manchester experience. There is no doubt this Hall and Chapel mean a great deal to a lot of people. The experiences and values instilled in generations of residents, makes our global alumni community one of the most distinct and active associations in any UK Higher Education Institution. The Hall appreciates everything our alumni and students do, and if you can contribute to this project, you will be helping maintain and develop a core aspect of the Hall’s history and heritage, but also its future. This discrete project includes renovating the fabric of the Chapel, as well as adding some new items, including the centre piece of the project—the oak display cabinet. In addition, this will be accompanied by a research project, the results of which will be presented upon completion in summer 2019. 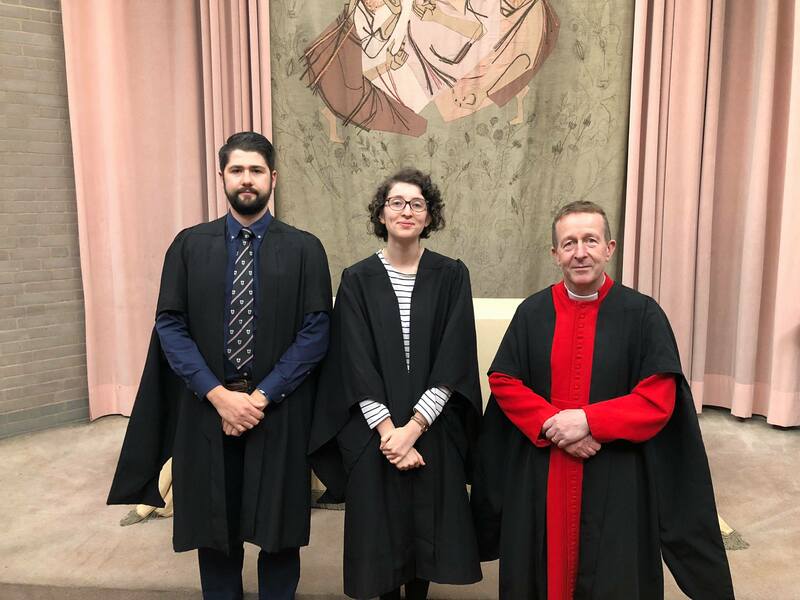 We are doing this now because we want to keep the momentum of the great work done by the Chapel’s student Sacristans Ellis and Harry, and Chaplain Hugh Bearn. 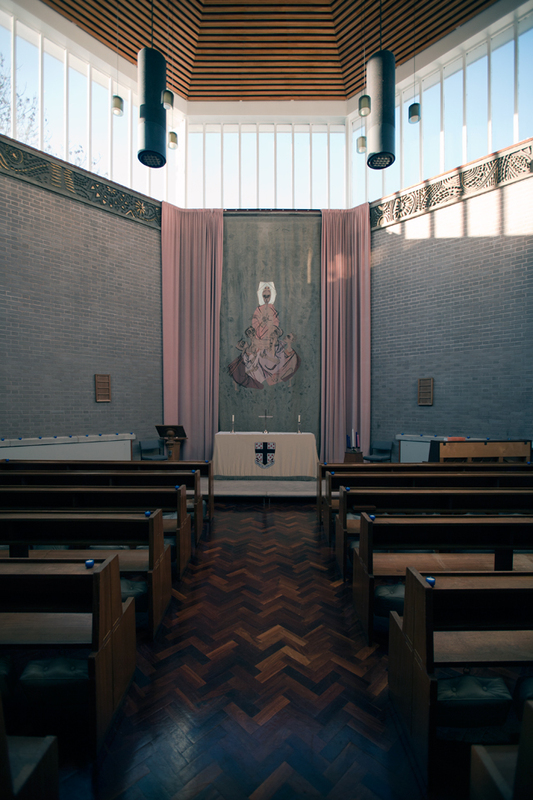 The Chapel is alive with activity and student engagement, and we now have an opportunity to make this space accessible and relevant to cohorts well into the future. We hold fortnightly services, compline, as well as Remembrance, Christmas, Saint Anselm Feast Day, and Easter events. If we achieve our minimum target of £3000, we will spend the money donated on the procurement of a bespoke, oak display cabinet. This has been designed and priced by Hayes and Finch of Liverpool. If we reach our full target, we will invest the funds remaining following the procurement of the display cabinet to contribute to the replacement of the altar drapes that sit either side of our Chapel tapestry. These curtains are ageing and fading, and drapes will frame our altar backdrop in new vibrant fabric. Additionally, we hope to renovate the pews, after they have suffered decades of use and some water damage. Students, alumni, and friends of the Hall are all important and valued members of our broader community. We would like to thank all donors with some personalised rewards, regardless of the amount they are able to give. Check them out down the right hand side. Slems online—keep up to date with our progress! This project cannot succeed without the global St Anselm Hall community coming together. Please sponsor us now and help make this happen. Of course, we are raising money for a discrete initiative, but this feeds into a bigger, on-going project: sustaining our Hall and values, developing our student-alumni interaction, and raising the profile of the Hall and Chapel. Whether you can donate or not, we are always happy to welcome alumni and friends into the Hall. Come to Chapel, for dinner, or drinks--you are always welcome.